Kepro news Be aware of fake Kepro products! 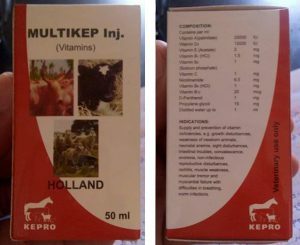 Unfortunately, there are fake Kepro products circulating. Some producers try to copy our products. Sometimes it is very difficult to distinguish it from the real Kepro products. Kepro complies to the high quality standards of GMP (Good Manufacturing Practices). We can not guarantee the quality of any fake products, because they are not produced by Kepro. Using products of good quality is extremely important for the health of animals and humans. Only buy Kepro products from a Kepro distributor. Kepro has one exclusive distributor in every country. If you are in doubt if a product is real Kepro or not, please contact us directly via: info@kepro.nl. 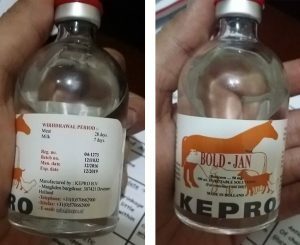 If you send us pictures of the product that you are in doubt of, we can immediately research if this product is a real Kepro product or not. Below you can find a few pictures of fake Kepro products. The names of these products are incorrect and there are mistakes in the lay-out of the labels.